Sukma Killings:Until you address agrarian crisis,the mourning continues,I am afraid! I am shocked by the killing of CRPF jawans who themselves belong to Indian Peasantry.I have been pointing out that military and paramilitary forces have been deployed in Tribal belt to accomplish the task of Salwa Judum to protect the corporate infrastructure to exploit natural resources.It is ironical as the Salwa judum is in itself that the tribals ase armed to kill the tribals themselves.The military and paramilitary forces are misused to protect private interests. The Maoist problem might not be dealt with Notebandi as it had been claimed as the arms used show that Maoists have no dearth of weapons as it had been claimed. Militraization of state might not solve the agrarian crisis and the infinite displacement drive against indigenous communities to eject them out of their forests,home and land with create more extreme format of Maoism as it had been originally known as the thunder of the spring. It is not an emotional case of patriotism at all.It means agarian communities have been subjected to monopolistic attack by desi videshi private companies.Simply Indian military and para military forces should not be used to protect corporate interest. Without addressing the Agrarian crisis and hearing the voices of the masses under repression,persecution we tend to create many more Kashmir within the border where our forces have to fight against the people of India who have opted for armed struggle against Military state governed by corporate hegemony. At he same time,the Maoist or Naxals should learn that they might have some ideological cause for this assault but in return they are killing innocent young men in military paramilitary dress who in fact mean to defend the nation and they are not the enemies of the people. Recently we have witnessed the AGHORI type media attracting naked urine drinking demonstration at Jantar Mantra by the peasants from Tmailnadu with skulls.Those peasants are not Aryans like UP or Maharashtra peasants and they have racially a different look. I am afraid that the media and intelligentsia have a racist antipathy against them and treated their grievances as political gimmick. Adivasis from Dantevara or Bastar are also racially different and they have not the NGO or political support to stage similar demonstration in the heart of Indian capital nor they mean tostage such political drama as they have been closely associated with the nature and never compromised with deshi or videshi ruler.Hence,we have hardly any idea about the tribal psyche which is no less explosive than mines and it is physically exploding time and again. Our friends expressed pleasure that the magic show ended at Jantar Mantar so that some gentle Aryand politician with their Aryand gentle and civilized supporter might show their strength with their hypocrite ideology. The centre managed the crisis convincing the Tamilnadu peasants to go back home but the stage is just transferred from new Delhi to Chennai and DMK,the opposition in Taminadu has called a Bandh simly because the problem is not addressed at all. If the political parties speaking and invoking identity emotions resultant hate and violence in so called mainstream politics, how the Maoists might be restrained with military might as the problem is never addressed and the government,politics or society or intelligentsia never care for the tribal people who are ultimate victims! It is the tragedy of Indian peasantry that they must be killed or whenever they opt for resistance led by some political force or say Maoists they have to kill the sons of the same soil fighting to defend the Nation inflicted by civil war. I have raised these questions in this video and the mourning continues and I am afraid that we have to continue to lose our dearest ones in this man made calamity infinite as the Cashless Digital Urban India has not sympathy whatsoever for the Indian peasantry! 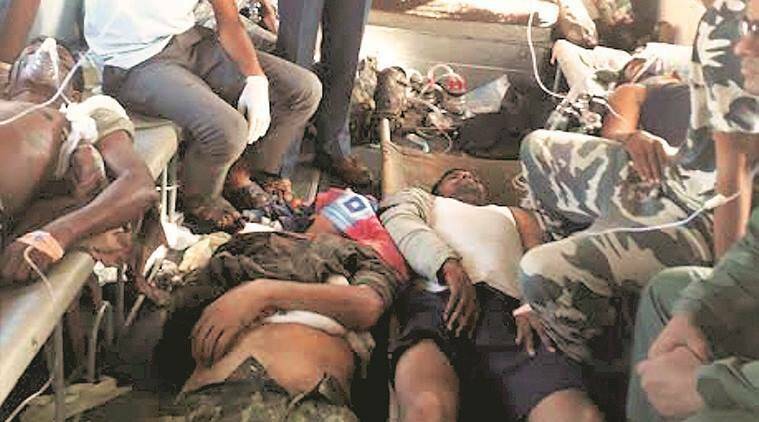 Senior police officers said the ambush took place after personnel from the 74th battalion of CRPF had emerged from their camp to secure an under-construction road in a Maoist stronghold in south Sukma. 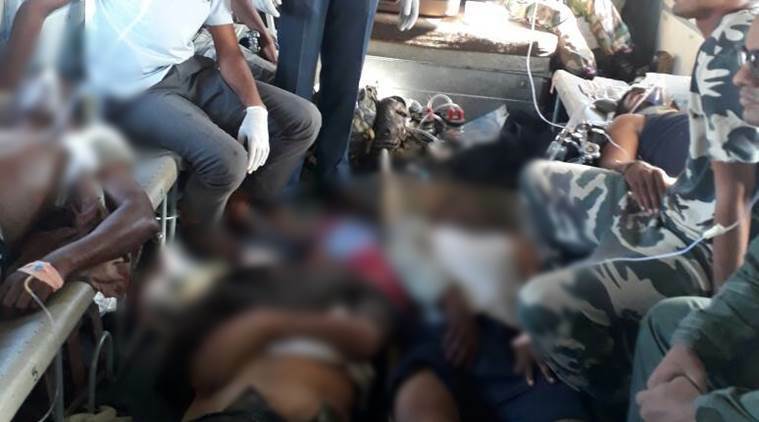 IN THE biggest Maoist attack on CRPF personnel in Chhattisgarh in the last seven years, 25 jawans were killed and six injured in an ambush in the Burkapal area of Sukma on Monday afternoon, officials said. Drenching roots of the nation with their blood 25 heroes inspired by the motto of #NationFirst made supreme devotion to our motherland. The attack took place more than a month after 13 CRPF jawans were killed in a similar ambush on a road-opening party on the Injeram-Bhejji stretch, around 60 km from Monday's ambush spot. 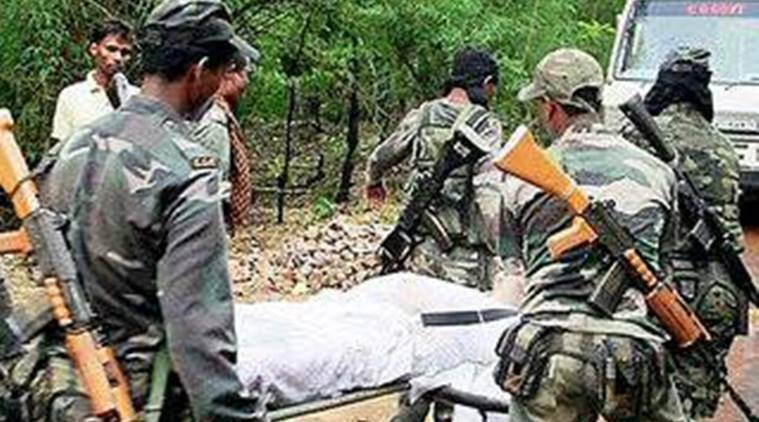 In 2010, 76 CRPF personnel were killed in Sukma in a Maoist attack. 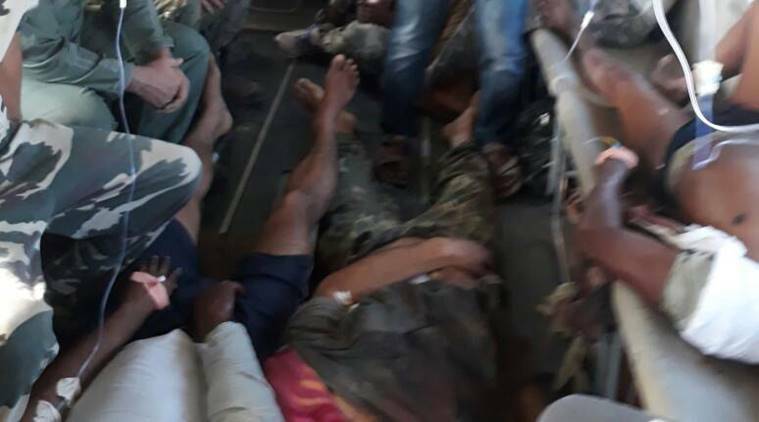 Chhattisgarh Police and CRPF sources said that two companies — around 150 personnel — of the battalion were ambushed by around 300-400 Maoists at around 12.30 pm on the Dornapal-Jagargunda stretch, one kilometre from the Burkapal CRPF camp. A company commander and six others were reported to be missing, said officials. 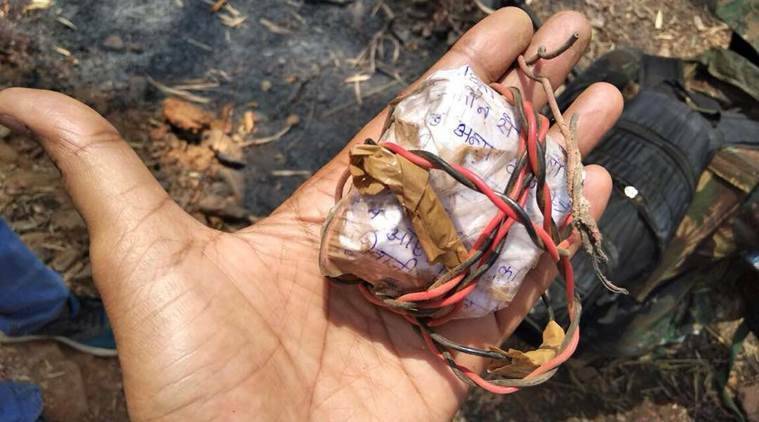 A piece of the explosives used in the attack. "The exchange of fire lasted for over two hours. Given the heavy gunfire, we could not ascertain the location of the entire CRPF party immediately," said a police officer. President Pranab Mukherjee and Prime Minister Narendra Modi condemned the attack. In a post on his official Twitter account, the President said: "Strongly condemn attack on CRPF personnel in Chhattisgarh; condolences to families of deceased and prayers for injured." Prime Minister Narendra Modi described the attack as "cowardly and deplorable". In a post on his Twitter account, he wrote: "We are monitoring the situation closely. We are proud of the valour of our (CRPF) personnel. The sacrifice of the martyrs will not go in vain. Condolences to their families." Union Home Minister Rajnath Singh said he has spoken to his deputy Hansraj Ahir, who is expected to visit Chhatishgarh and review the security situation along with the DG of CRPF. "Extremely pained to know about the killing of CRPF personnel in Sukma. My tributes to the martyrs and condolences to their families," Singh posted on Twitter. Officials said that Singh has briefed Modi on the attack and is also likely to visit Chattishgarh on Tuesday. Chief Minister Raman Singh, who was scheduled to return from Delhi on Tuesday, reached Raipur on Monday night to attend emergency meetings. Union Home Secretary Rajiv Mehrishi also held security reviews with senior officials and the CRPF. According to officials, the Home Ministry has conveyed its unhappiness over the ground situation and that "no lessons were learnt" after the March 11 attack in Bhejji. Officials said the ministry has also called for a review of Standard Operating Procedures (SOPs) since road-opening parties had been targeted earlier, too. In preliminary reports submitted to the ministry, CRPF said that seven of its personnel were initially injured in exchange of fire with Maoists. By the time rescue teams reached the spot, they found the bodies of the personnel, with their weapons and wireless system missing. "In a fierce gunbattle with Maoists, 25 brave soldiers of CRPF laid down their lives for the motherland. Two companies of 74 Bn CRPF were deployed to provide security for road construction in the area connecting Burkapal to Chintagufa in Sukma… The party was ambushed by a group of about 300-400 Maoist cadres at 1230 hrs at Kalapattar near Burkapal," a CRPF statement said. Sources said the CRPF men suffered heavy casualties as they were located at a disadvantageous position. "The CRPF troops replied in a befitting manner but taking geographical position to their advantage, Maoists succeeded in inflicting losses on CRPF. 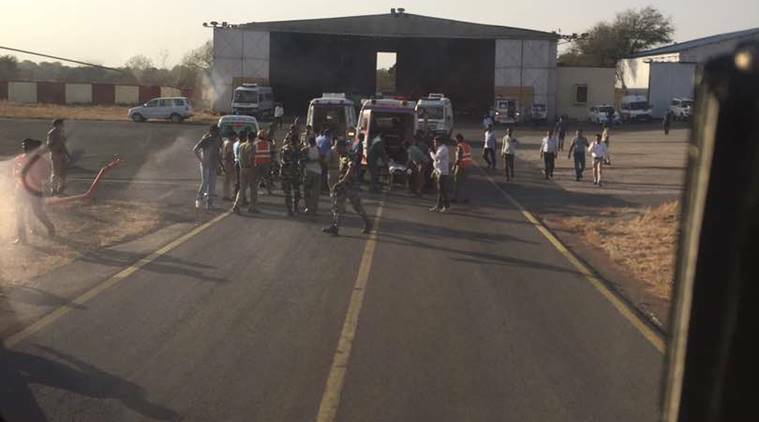 Twenty-four brave soldiers (were) martyred at the battleground and one succumbed to his injuries while being evacuated to a hospital in Raipur," the statement said. Those killed at the spot were Inspector Raghubir Singh, sub-inspector KK Das, three assistant sub-inspectors, five head constables and fourteen constables. 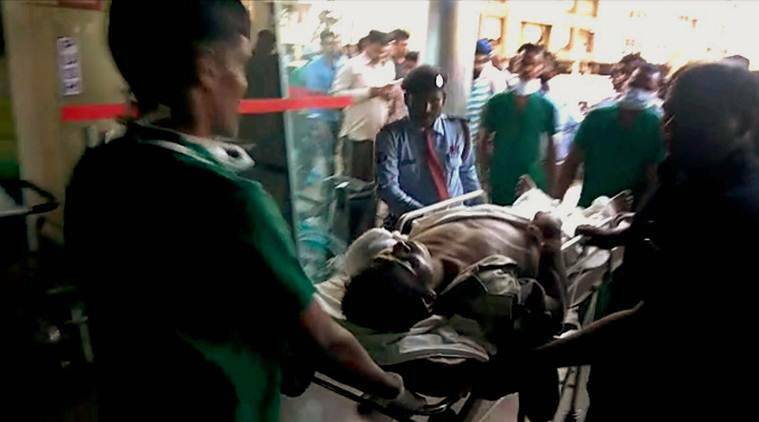 CRPF said that their bodies had been airlifted to Raipur and the injured admitted in Ramkrishna Hospital. The force also claimed that it had inflicted casualties on Maoists. "A considerable number of Maoists are believed to have been eliminated as tell-tale signs indicate from the ground," the statement said. Senior CRPF officers, including the director general and inspector general (operations), have reached Raipur and will visit the encounter spot on Tuesday, sources said. The road being built is a crucial 56-km stretch from Dornapal on NH 30 to Jagargunda, considered one of the most sensitive zones in the country. While an 8-km stretch from Dornapal to Gorgunda has been completed, the remaining 46-km stretch, being built by the Police Housing Corporation, is still under construction. Over the last three years, road-building activity in this area has seen 11 exchanges of fire, 18 IED blasts, three civilian deaths in explosions, and the recovery of 16 IEDs. Before this attack, seven security personnel were killed and 25 injured on this road over the last three years — there are five police stations and 15 CRPF camps at 11 places along the stretch. 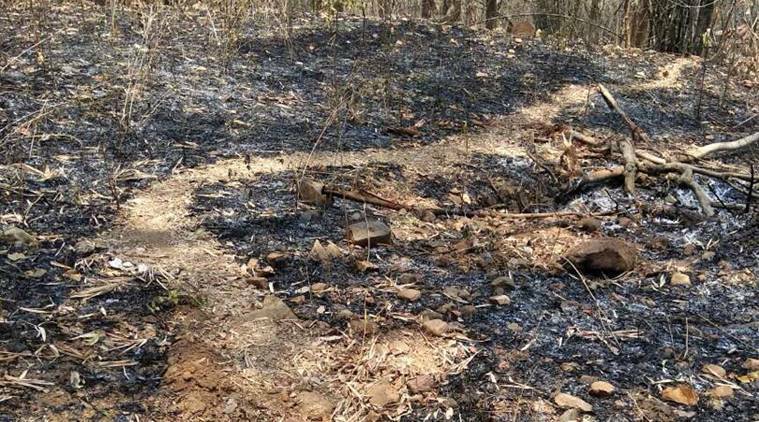 In the aftermath of the Bhejji attack, police officers had said that the Maoists were desperate to halt road construction here, and were targeting them through IEDs and attacks.